Lotus tend to name most its cars starting with the letter E. These include the Esprit, Elan, Europa, Evora and more..
Of course, its most popular model, the Elise, also has the letter E in front. Interestingly, the name wasn't cooked up by the marketing department and is actually named after someone specific. 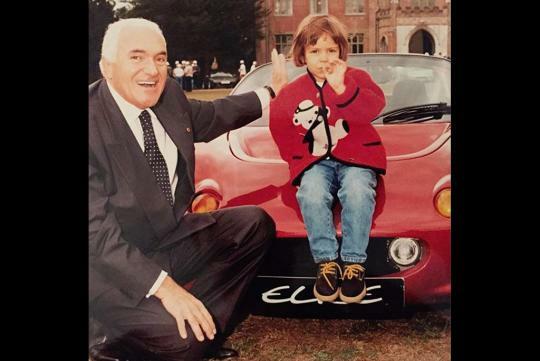 So after 22 years later, Lotus has reunited Elisa Artioli, the granddaughter of Romano Artioli who bought Lotus over from General Motors in 1993, with the very first Elise to roll off the assembly line. During the short period of time Artioli was the boss at Lotus, he launched the Elise and he named it after his beloved granddaughter, albeit with an alteration to that last vowel. 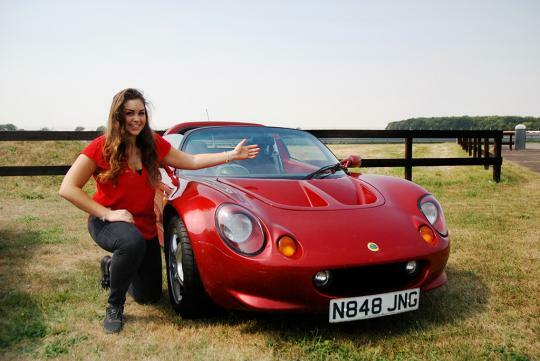 During the recent reunion at Hethel, other than having some photos with the original Elise, Elisa Artioli also got to drive a few laps around Lotus's test track in an Exige Sport 410 and Evora GT410 Sport.